Platform Size 2.25" x 3.125"
Scale Size 5.5" x 3.25" x 1"
Rubber Bumper for Stability & Protection My Weigh added a genius, rubber bumper that does a great job of protecting the scale and keeping it stable while you're trying to weigh. Advanced Digital Weighing Technology? The Triton T3 660 was built with true, 10,000 division German HBM weighing sensors. This Advanced Digital Weighing Technology is going to give you the most accurate weight readings. Man, This Thing Is Tiny! You won't have to worry about this scale taking up space. It's just over five inches long, and only an inch thick! You can take this scale pretty much anywhere ya want...stick it in a pack, purse, or in your shirt pocket. Bright Backlit Display The Triton 660 scale has a fancy, red, backlit display to help ya see your weight readings, even in dim lighting. 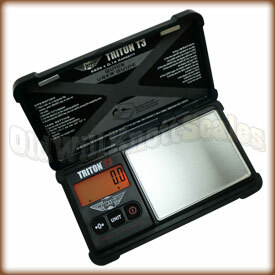 Easy Calibration The Triton T3 660 pocket scale comes factory calibrated and ready to use. Just in case ya need to calibrate it, the T3-660 comes with easy to follow calibration instructions. 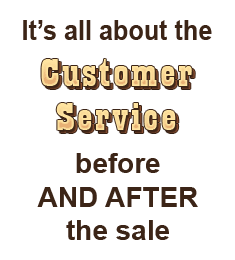 You'll just need to pick up one 500 gram calibration weight to get the job done. Stainless Steel Platform The Triton T3 660 has a durable stainless steel weighing platform to make cleanup a breeze. Stainless steel is great because it doesn't scratch easily and keeps its shine without rusting or tarnishing. Tare Feature The tare button on the front of the Triton can be pressed to "zero out" the weight on the scale. You can then add more weight, and the display will only show the weight of the items you're adding. This sure is useful when ya want to use the cover as a weighing tray to weigh your things, or if ya want to get separate weights of multiple items. It Remembers The Last Unit Ya Used If your application needs weights in the same unit of measurement, (like ounces for instance), it can be a real pain if your scale always turns on ready to weigh in grams. It's a good thing the Triton T3 660 turns on displaying the unit of measurement you were using when ya turned it off. Energy Saving Auto-Off If ya have ever had the batteries in something run out because you forgot to turn it off, you'll realize what a blessing this feature is. The Triton T3 660 will automatically turn off after about 45 seconds of inactivity, saving battery power and money. Product was received promptly and I am very pleased with my scale. It is very nicely made and appears to be very accurate. This one has a lid that closes and I am glad that I choose it. If I ever decide to buy a larger scale, I would definitely buy from Old Will again. The Triton T3 is an exellent scale, dependable, accurate, built well, it's a professionals scale. I can take the Triton T3 anywhere I go for quick weight readings. It has a clear screen to read without my glasses. this thing is great for small ingots of gold and silver as well as coins. PDF on this page is for the T3 400gram and contains incorrect information with regard to the type T3 660gr product. Cannot review until I get one (rates *** because the form needs a rating). But no worries: you probably copied it from the manufacturer MyWeigh which makes the same mistake. I'm very pleased with this purchase, this scale is the real deal!! The Triton T3 660 scale is a lot of scale for the money!! Great scale,easy to use,it will take a beating and perfect size,easy to calibrate. old wills quick to getting the order to you! I love this scale. It's right on I've checked it with my silver collection and it's right on. I calibrate every time with my 500G that I bought with it just to be safe but it's always right on. Thanks again Old Will Can't wait to weigh my 1oz gold maple leaf I ordered.